Growing up in the 1990s, it’s no secret that Harry Potter was the centre of everyone 90s kids world. Eagerly anticipating the latest book or release of the new film, the magic of Harry Potter captured the hearts of millions. 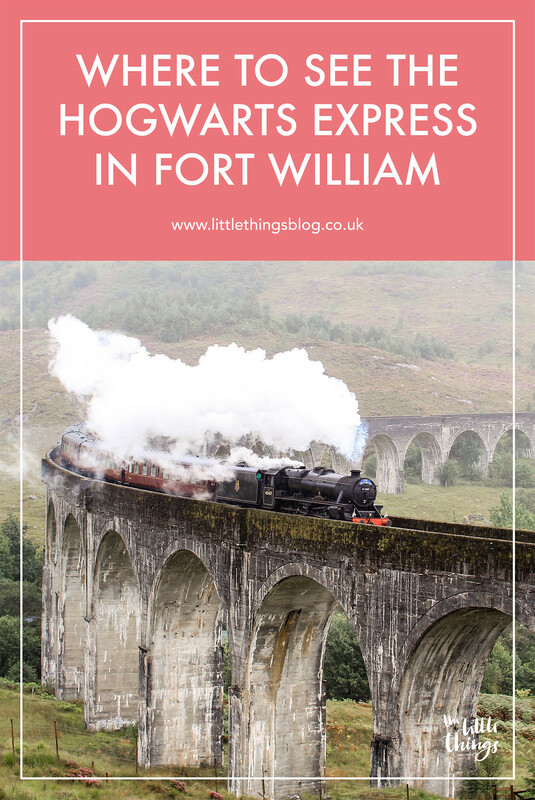 So when I knew we would be visiting Fort William, along our North Coast 500 road trip, we were desperate the visit the Glenfinnan Viaduct and watch the Jacobite Steam Train come rolling in. 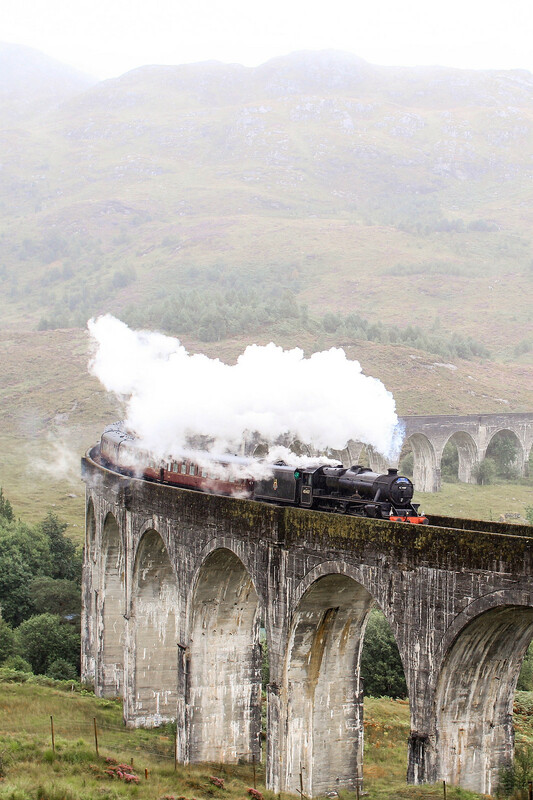 There are two viewpoints to see the Jacobite Steam train from at the Glenfinnan Viaduct. One of the located just behind the National Trust visitors centre by the car park. This view is closer, but in my opinion, not the best. 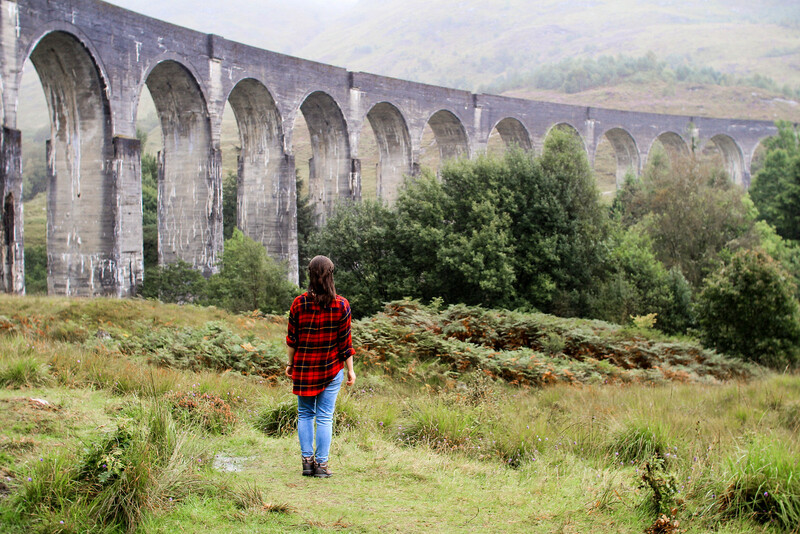 If you want to experience the view from the Harry Potter films, be prepared to climb. Head past the visitors centre, over the bridge and turn right by the small free car park. Just past here there’s a footpath up to the Glenfinnan Viaduct. This takes you completely under the viaduct for an experience like no other, where you can climb as far as you like into the surrounding hills for the most impressive view. Just be prepared to claim your spot early, the crows get busy quickly! 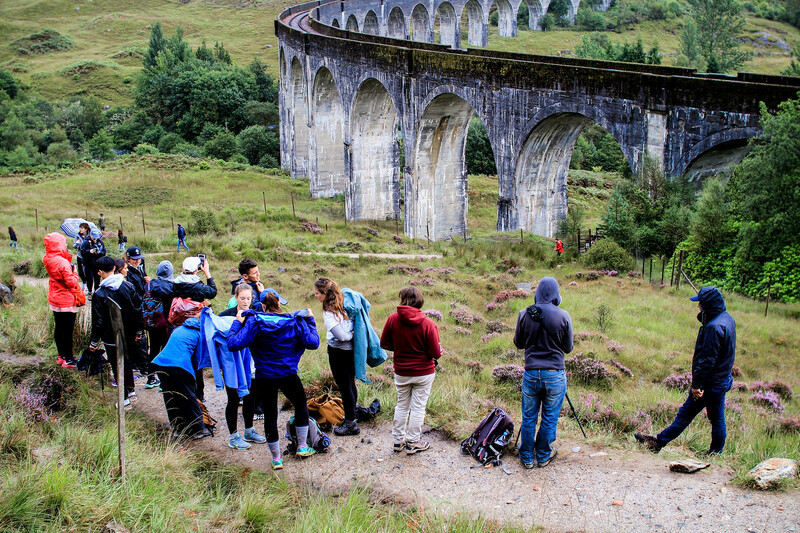 As such a popular tourist destination, it’s no surprise that the Glenfinnan Viaduct gets busy. Be prepared and get there well ahead of time, in order to claim your best viewing spot. Especially if you want to take any photographs, here’s what you don’t see in those Instagram snaps! The times for the train changes seasonally between May to October, so check these before you begin your hike. Although the viaduct is impressive in itself, watching the steam train roll past makes it all that more magical. 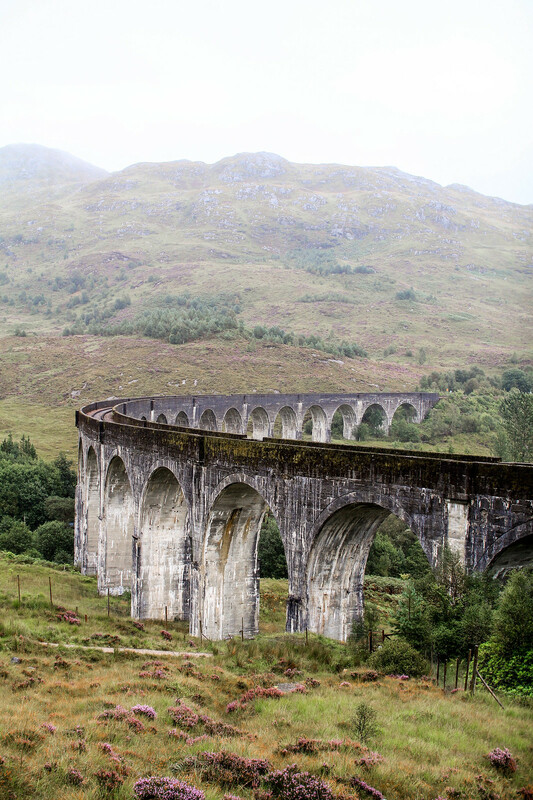 The Glenfinnan Viaduct is free to access, but is also home to a National Trust visitors centre and car park. There is a small free car park slightly further along over the bridge and to the right; but this gets busy very quickly. Alternatively you can pay £2 for the National Trust car parking space and also enter the visitors centre, which has a cafe, small shops and toilets. 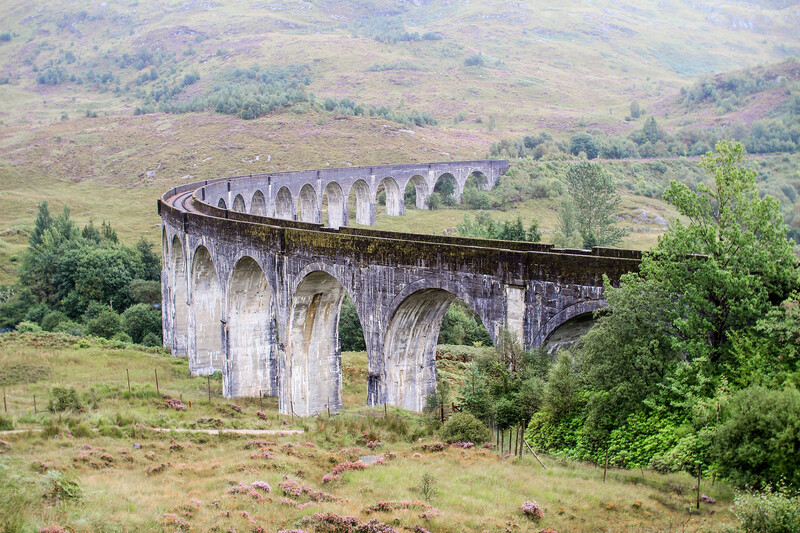 The West Highland railway line runs from Glasgow to Mallaig. Passing through Fort WIlliam, it’s the perfect place to pick up the route and enjoy gorgeous views as Ben Nevis passes you by. 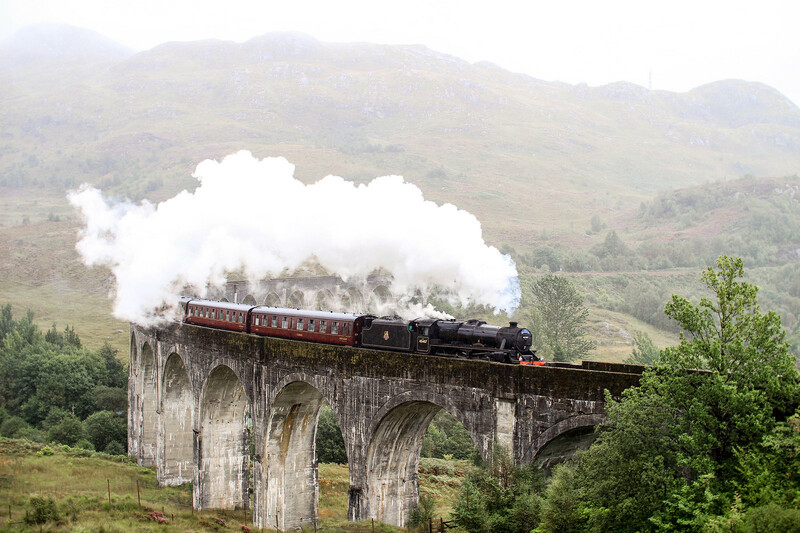 The train passes over the Glenfinnan Viaduct, used as the dramatic setting for the Harry Potter films, with the same train as the Hogwarts Express. The train runs from May to October and is extremely popular, so be sure to book tickets in advance if you plan on riding the steam train. The time changes seasonally for journeys, you can find this information on the West Coast Railways website.